Vacation accrual rates vary by position and years of service. For more information, please communicate with your department vacation/sick leave contact or contact the Office of Human Resources. Civil service employees may be eligible to earn vacation leave. Full-time status employees, learners and trainees earn leave while extra help and temporary employees do not. Professional staff employees on 100 percent appointment, except lecturers who were employed by the University on or before June 30, 1999, earn 2.0834 vacation leave days per month prorated to their percentage of appointment (exclusive of overtime). Professional staff employees for less than six months during any fiscal year are not eligible to earn vacation leave. Professional staff employees hired after July 1, 1999, will earn vacation with the accrual rate changing on the anniversary of the employee's hire. Represented employees should refer to their most recent collective bargaining agreement for more information. Represented employees should refer to their most recent collective bargaining agreement for more information if necessary. 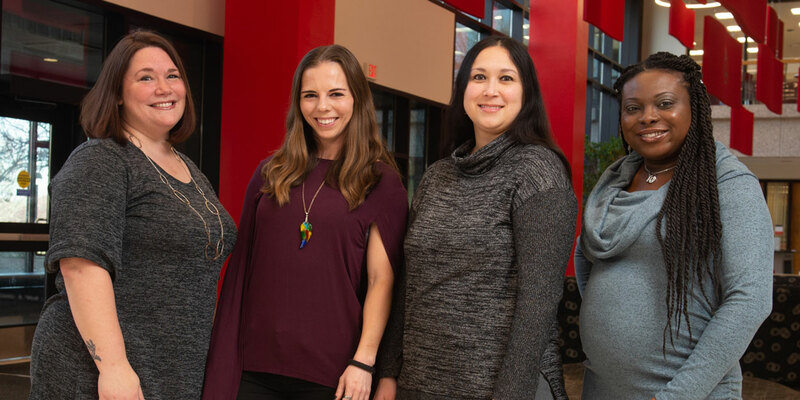 Employees in the position of teacher, teacher aide or home visitor in the SIUE Head Start Program will earn ten vacation days per year, seven of which are designated by the University as "scheduled vacation days" and the remaining three to be designated by the employee. An exception to this shall be teachers, teacher aides or home visitors who work a fiscal appointment of 12 months. They will earn 17 vacation days per year. Seven of these days are designated by the university as "scheduled vacation days" and the remaining ten will be designated by the employee. Employees in the position of head start teacher, teacher aides, home visitors and family consultants who are full-time, 12-month, contractual employees, and who were hired before July 1, 1999, will receive 25 days of vacation. Employees in these same positions hired on or after July 1, 1999 accrue vacation based on years of service as displayed in the schedule above, beginning with .8334 days earned per month in their first year. All head start teacher, teacher aides, home visitors and family consultants shall have seven of these vacation days designated by the university as "scheduled vacation days." Years of service will be considered the total years of employment at the University in a position eligible to earn vacation. Vacation leave must be scheduled in advance with an employee's department and will be at the discretion of the supervisor depending upon the operational needs of the department. Supervisors may allow employees to use vacation time if not previously scheduled. However, the University may have the right to cancel any pre-approved vacation request, especially in circumstances where staff shortages occur as a result of illness or your job is considered an essential service position. Departments must consult with the Office of Human Resources before canceling any pre-approved vacations. All employees must communicate with their supervisor before making any vacation plans. Holidays recognized by the University are not chargeable to vacation. Vacation benefits may accumulate up to a maximum of two years worth of accrued vacation credit. Vacation records are viewed on June 30 of each year to ensure that employees do not exceed this limitation. Excess vacation leave time is not carried forward and cannot be used. A maximum of two years worth of accrued vacation may be carried over to succeeding years regardless of whether the appointment is continuing or term, for eligible employees. Employees may not use anticipated but unearned vacation credit. Vacation is earned at the end of each month and cannot be used until it is earned. An employee who changes from a fiscal year to academic year appointment or who transfers from one position to another within the University will carry forward their accrued and unused vacation balance within the approved limits. Faculty, administrative and professional staff employees fully paid from a grant account are required to use their vacation before the end of the grant term. These employees are not eligible to carry over unused vacation leave. An exception to this is that head start employees will be permitted to carry over unused vacation leave past the end of the grant period provided that the vacation leave is used within 90 days following the end of the grant period. Employees who terminate will be paid at their normal rate a lump sum of all applicable accrued and unused vacation leave within the approved limits. In the event of death, such payment will be payable to the estate of the deceased employee. Employees continue to earn vacation credit while on leave with pay such as vacation, sabbatical leave and sick leave. Employees will not earn vacation credit while on leave without pay.